Following a strong Canadian theatrical opening in December, Istvan Szabo’s historical romance saga Sunshine had its European premieres mid-month in Munich, Germany and Budapest, Hungary. The German, Austrian and Hungarian commercial launches are slated for late January, with other European capitals to follow in February. Produced for $26 million, the film has won three European Film Academy Awards – for best actor (Ralph Fiennes), best screenplay (Szabo and Israel Horovitz) and best cinematography (Lajos Koltai). It tops all other films in this month’s Genie Awards race with 14 nominations including best motion picture, best direction and best performance by an actor in a leading role (Fiennes). Although Sunshine was coproduced with Hungary, Germany and Austria, the property was developed and is owned by Canadians. 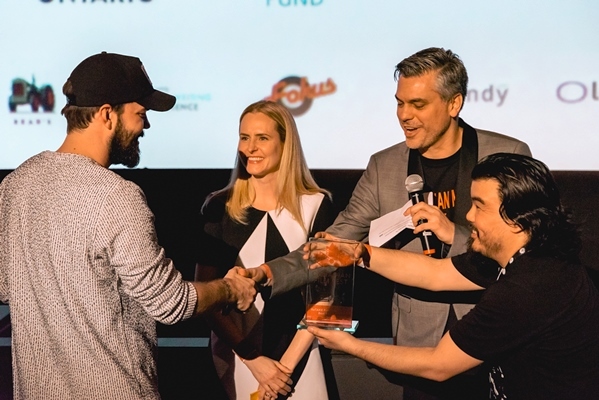 Financial participation in Sunshine – in the form of subsidies and presales – includes Film Four in the u.k., Bavarian Film and TV Fund, Eurimages, TMN-The Movie Network in Canada, Telefilm Canada, Vienna Film Financing Fund and Belgium broadcaster orf. From a financial perspective, Sunshine remains exposed. And unlike David Cronenberg’s Crash – which was presold by aac for more than the cost of its negative pickup, $31 million – Sunshine’s profitability depends on its sales performance in the international theatrical, tv and home-video markets. The film had more than $300,000 in receipts after 19 days in release on nine Canadian screens, as reported by Alliance Atlantis Motion Picture Distribution, the film’s Canadian and u.k. distrib. Lantos negotiated Sunshine’s sale to Paramount Classics in the u.s., where a mid-April to late-May release is anticipated. 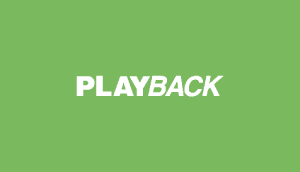 Playback asked Lantos to consider two topical feature film policy questions – which general principles should drive funding decisions, and who should have access to public movie monies, an issue recently raised by noted executive producer and broadcaster Moses Znaimer. ‘If there is going to be more money in the system, the bulk of it would be best used through objective criteria where performance is rewarded,’ says Lantos. On the access issue, Lantos takes a firm position – public monies should not be used to subsidize the acquisition of Canadian movies. Otherwise, he says, anyone should be eligible for subsidies, ‘regardless of their day job,’ as long as the intention is to make genuine theatrical films. ‘If Moses [Znaimer] wants to produce movies he should have the same access as anyone else. Let me be clear about this. First of all I am a close friend of Moses’ and a big fan. If Moses or anyone else wants to produce Canadian films for the theatrical market – which are going to play in movie theatres and then go out in home video, and then eventually find their way to television as opposed to being made for television – then by all means. He’s a very talented guy and he’s welcome to it. And to whatever degree subsidies are available, he’s welcome to those, too, although to make movies because there are subsidies available is a losing proposition for all involved. Sunshine is outside Lantos’ four-year, $100-million, multifilm output deal with Alliance Atlantis. The terms of the Alliance-Atlantis merger agreement remain unchanged, including the restriction on developing made-for-tv movies, with a single exception, a project with ctv called Last Stop Paris. Serendipity holds the movie rights to the Michael Ondaatje novel In the Skin of a Lion and Mordecai Richler’s best-seller Barney’s Version. The venerable Richler winters in London, Eng., where he is working on the screenplay. Looking ahead, Alliance Atlantis and Vivafilm in Quebec are slated to release Denys Arcand’s dark contemporary satire 15 Moments later this year. The film is a coproduction between Montreal’s Cinemaginaire International, Serendipity and Cine b of Paris. Lantos (Felicia’s Journey, eXistenZ, Joshua Then and Now, In Praise of Older Women) expects to go into production on one feature in the year ahead. Lantos is chairman emeritus of aac and was a member of the Heritage-appointed Feature Film Advisory Committee. He is also an investor in Onyx Corp.-backed movie exhibitor Galaxy Cinemas. As a producer, Lantos has two best motion picture Genie Awards – for the Bruce Beresford film Black Robe and Egoyan’s The Sweet Hereafter. Egoyan’s Exotica was produced under the auspices of the pre-merged Alliance Communications. Golden Reel (top Canadian box office) winners produced or exec produced by Lantos include David Cronenberg’s Crash (1996), the Keanu Reeves futuristic thriller Johnny Mnemonic (1994) and Black Robe (1991).